I'm excited to kick off the new year with an interview with Australia's own Saya Sakakibara! 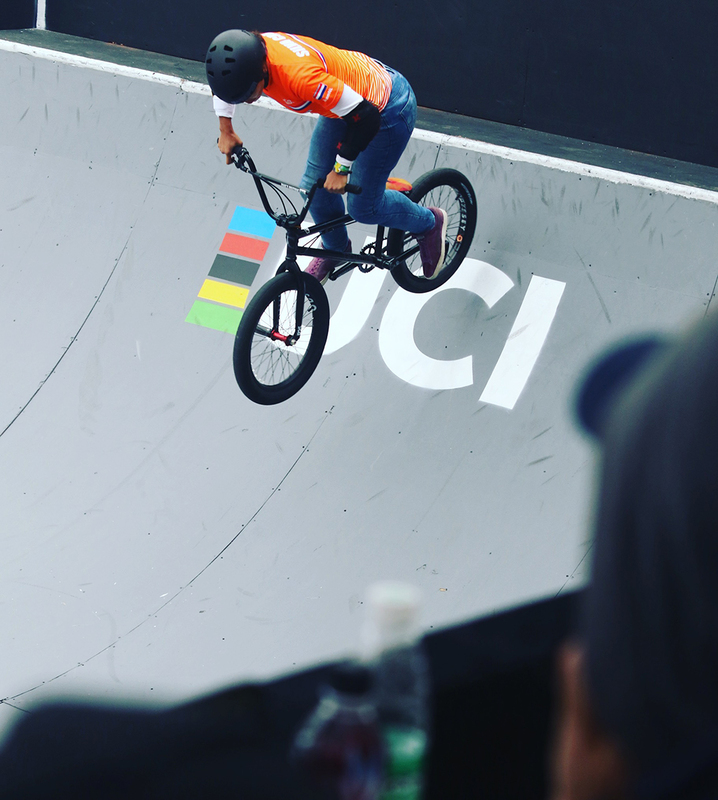 19 year old Saya has had an amazing first year as an Elite rider, where she finished with a #2 BMX World ranking. In this interview, we talk about Saya and her support system, a little about her family, her accomplishments and struggles. It's also Australia Day in a few days, so sit back, grab a slab, turn on the old barbie, and read on. Crikey! How and when did your journey into BMX start? I started BMX when I was 4 years old. My brother Kai was already into the sport and I was dragged to practice and racing every weekend, where I sat, watched and most of the time played in the dirt. I think my parents saw that I was super bored all the time so they bought me a bike and I was off! At first, it wasn't for me, I crashed 3 times on the same jump and I cried and went home. For 4 months I resented my bike but one day I was on track again and I've been doing it ever since! I find it really interesting that at one point in your career you represented Japan, but obviously since then, you have been representing Australia. How does that transition work exactly? Were there any difficulties switching from one representing country to another, and what factors played into your final decision? So when I was turning 7, I competed in my first World Championships, and this was while I was living in Japan - hence why I competed as a Japanese rider. Then when we moved to Australia, we just continued to race as a Japanese at World Championships each year until my first year as a Junior Elite. Turning Junior Elite, means that everything becomes more official, points from races count towards nation rankings and everything becomes more serious. So, I had to make a decision before the start of the year, yes it was a long process. Counting up the pros and cons and thinking about my future as an athlete and as a person. I think what it came down to was where I feel the most comfortable. My family lives in Australia, I have friends in Australia and most of my fans are in Australia - so Australia it was! 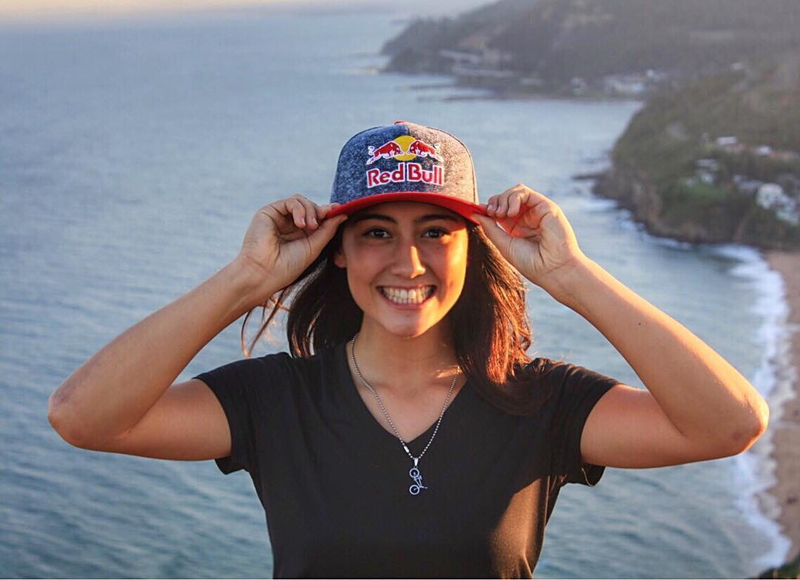 As someone born in Australia, that is half Japanese and half British, I also find it interesting that you’re represented by a Japanese Athlete Agency and sponsored by Redbull Australia. You’re truly a woman of the world, but growing up were there any difficulties with finding your own identity? Haha! I definitely being everywhere but I don't think I had any troubles. I was quite young when I had those big country moves so I was able to adapt quite well. I think more than it being difficult, I was more embracing all the changes and unusual experiences that were coming my way. And I believe those experiences were the foundations of what my identity has become now. I can speak Japanese, I have Japanese values but I also feel like I am full Australian as well! Congratulations on a stellar season. Usually, when a Junior enters Elite, you see them fall off the planet a little bit... or rather the podium. In your case, you’ve been consistently hitting the podiums and even finished 2018 with a #2 BMX World ranking. Looking back at 2018, how do you feel about your own performance, are you surprised in any capacity? Thank you! Absolutely I was surprised. Actually, last year, I was writing my goals down and I wrote down 'Finalist at World Cup' and I thought I was getting ahead of myself. But I was like 'well, may as well aim high' and stuck with it! Little did I know that I was going to end up with all these crazy results this year! I think my lack of expectations was a part of my success as I didn't put any pressure on myself, and just tried to ride the best lap I could possibly do. Which led to a better state of mind when it came down to lining up on the gate to Olympic medalists and multiple World Champions. I mean, I think I just went with the flow, I didn't get a podium at each round, I had some crashes along the way and I can honestly say it's been an up and down year. I experienced more than I've ever imagined and learned more about myself rather than anything. What was the change in levels like going from Junior to Elite? I feel like it depends on the way you look at it. Yes, going from Junior to Elite is a big jump as you go from racing riders around the same age as you then to racing riders up to 30 years old with sooo much experience under their belt. You go from only having to race 15-20 riders to racing 30-50 riders. And you become part of the highest rank category in BMX as the level of competition goes through the roof! But on the other hand, you still line up on a gate, you do your normal gate, pedal hard and do a few jumps and turns and you finish the race! Just a simple BMX race. So for me, I just took it on as another mental challenge more than anything. I didn't change much in physical training as doing what I was doing was working. It was just now to keep building on the foundations that I've built to be stronger, faster and more skillful. There’s a positive movement going on right now, which ironically is about sharing the real honest struggles since we tend to share only the positive aspect of our lives on social media. Could you share with us a struggle or disappointment in your career so far, and how you dealt with it? I have to be honest, I tend not to share too many struggles as there are so many other people in the world who would love to be living the life that I am, and I feel like my problems and struggles are nothing compared to theirs. But, I think there is value in sharing difficult times, and disappointment as even though people can't directly relate, but they could relate and take the positives or life lessons from my problems and apply it to theirs. I think one example is the World Championships in 2017. I was 2nd year Junior as was winning the final and was on my way to a rainbow jersey. Then I got passed on the line, finishing 2nd. I was filled with anger, disappointment, embarrassment and felt like I let everyone down. Yes, 2nd in the World is a great result. But the fact that the year prior, I couldn't race as I crashed during practice and the fact that from that moment on, I was dedicating everything to win the rainbow jersey. I was the best I've ever felt on the track and mentally as well. It just came down to just being honest with myself and credit myself for the things I did well. eg. Great gate, great first straight etc. And things that didn't go so well. eg. my 3rd straight was slow. But to be honest there wasn't much that I did wrong. I actually had a really good lap and there wasn't much that I would've done differently. It was accepting that the other girl was faster and probably worked as hard as I did to win too, and to accept the defeat. Then! make sure it NEVER happens again. I chose not to watch the video back because I knew it will make me rather upset instead of fired up. I decided to move on but not forget the feeling of disappointment and failure and that was what motivated me to continue to train hard and work on those flaws that messed me up. You’ve credited your brother Kai and your Dad for pushing you to the limits physically and mentally. How has your dad helped you, and was he a former racer himself? 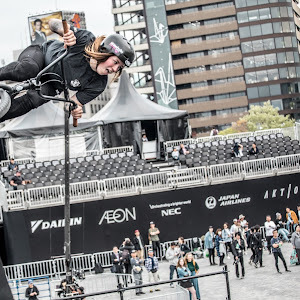 What is mum’s role like when it comes to your BMX career? My dad helped me, just being a dad. He was never a racer nor an athlete but I think he knew my abilities and what I was capable of and pushed me until I got there. I feel like he was very strict but was reasonable, and most of the time, I was just being a scaredy cat. Well my mum was and is a quiet supporter. She drove us to training, spent hours in the sun filming every lap we did, prepared us snacks for when we went riding and cooked race food for us every event. She never pushed me to do things, but she supported Kai and I's passion and love for the sport and did everything in her power to make it as easy as possible to follow our dreams. And I absolutely love her and appreciate her for that. I think it’s wonderful that your family is so supportive and involved! I’ve personally have seen parents take it way too far with their kids where I didn’t even feel like racing after seeing parents bully their kids for not finishing first. Is there any advice that you can give from your parents, or opinions you have of your own on this subject, or maybe advice for parents who are hoping to have Olympians in the future? I think it is a very difficult subject. But in my opinion, the motivation has to come from within. It must come from the rider or the child that they do WANT to win or WANT to get better. And it is their parent's job to support that as much as they can rather than push them to train, or bully them when the rider doesn't get the result that the parent wants. It's important to also remember that BMX is a sport and it's supposed to be enjoyable, and it's supposed to be fun, and the motivation will stop when the fun stops. I think BMX and sports in general is a great tool for kids - being active, making new friends and also teaches success, failure, commitment and dedication which are life lessons! So the bottom line is, support not push, and it really doesn't matter if your 7 year old kid is World Champion or not! Switching gears a little, Facundo wanted to know, what you eat during the season. More specifically, foods for training before and after a race. Usually I don't have a specific diet. If the meal I eat has vegetables, some protein, and carbohydrates, then I'm happy. I tend to eat salads with a bit of meat a lot for lunch, and for dinners, is usually a rice or pasta dish. Foods for training, I usually just have a bottle of water and a bottle of electrolytes or sport drink, and a protein shake afterward. - I don't usually eat during the session but make sure I eat well after. For racing, I make sure I have a good breakfast, or lunch if racing is in the afternoon, then I stick to maybe a Red Bull for a kick start. After that, I top up between races with high carbohydrate foods that are easy to eat like fruit, or mini muffins, or Nutella sandwiches. After racing... Treat myself with yummy food!! 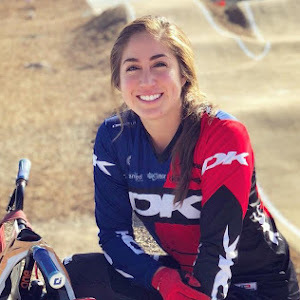 I understand you’re in New Zealand for a couple of weeks, training with the Smulders sisters, Jessie Smith, and Sarah Walker, how’s the training session going so far and what’s in store for the rest of the 2019 season? Yes it's been super fun. Every day has been exciting with these girls, training and hanging out in this beautiful country. I am staying in Hamilton but spending a good amount of time in Cambridge which is countryside. Surrounding environment is so green and the weather has been really great so far! So the first race back for me will be the Oceania Championships in Te Awamutu in NZ. Some of the girls from Aussie will be coming over which will be an awesome event. And then a few open races back at home until off to Europe again for the European Cup and World Cup circuits starting in April. I haven't planned too far ahead, but I'm sure ill be visiting the US sometime later in the year. Does your bike change depending on if your training or racing? What’s your set up like going into 2019? My bike stays the same both racing and training. The only thing that I might change may be the gearing ratio, whether I want a hard gearing for sprints, or maybe a lighter gearing for training on the track. It depends but that will be the only thing that changes. For each sponsor you have, what’s one product you’d highly recommend from each? Red Bull - giving me the opportunity to work alongside an awesome company and providing me with energy! Oakley - Airbrake goggles: Super comfy and comes in so many styles! Fist Gloves - Our Sushibara signature gloves! Did you read it? OK good. For those of you who have been sleeping under a rock, and is like "oh jeez, maybe I can do this". Guess what...there's still an opportunity. 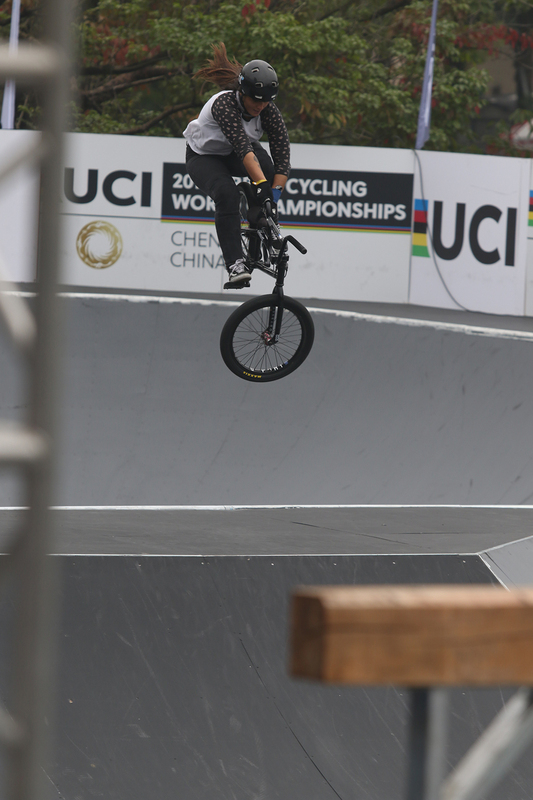 I reached out to BMX Freestyle Consultant for the UCI, Bart De Jong to answer my questions. 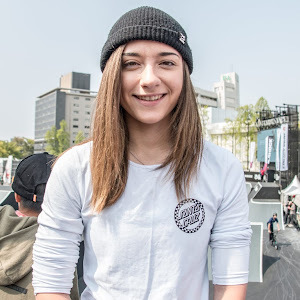 Bea: If there was a rider who can compete this year (2019) and earn enough points (ie, make podium at every stop for example), can they still qualify for the Olympics? Bart: If a rider scores enough points to qualify their country for a spot in Tokyo it will be up to the federation to accept the spot first, and then decide who is going. If the single rider scores enough points to qualify his/her country during the qualification period (1 November 2018 - 11 May 2020), they'll get a spot. It all depends on the results/scores. The results of the two highest ranked riders will be added, but one single rider possibly can score more points than two riders together. Bea: Can a rider compete this year, and upset the entire system regardless of which country they’re from? Or is it too late? 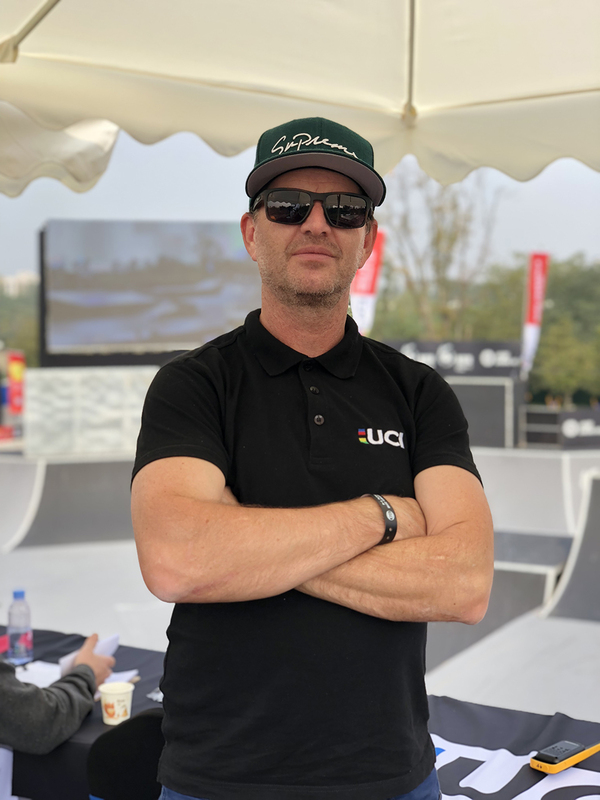 Bart: It's not too late to qualify but the qualifying period started back on 1 November 2018 in Chengdu so the first points have already been given out at the last World Cup of the season and the 2018 UCI World Championships. But plenty are coming up with a.o. the 6 best C1 results during the qualification period, National Championships of 2019, 6 best World Cup results, etc. (see qualification document below). Bea: If you’re a rider who holds two passports, say one was USA and the other one was like Vietnam (just pulling a random country out), could someone “Eric Moussambani” it? If you’re not familiar, he was a swimmer from Equatorial Guinea, he swam for the first time less than a year before the Sydney Olympics. He gained entry to the Olympics without meeting the qualification requirements through a wildcard draw, which was to encourage participating in developing countries. Bart: With only 9 spots available for Men as well as Women, we will not get in that situation where we have to fill up the spots to complete 9 riders per class. We've only got 9 per class and as it looks right now, we've got plenty of riders from many different countries competing for these spots. 38 girls entered the last World Cup from around 19 different countries. I have a feeling this number will only grow in the next year or two. Again, read the criteria document and you'll learn how it's done so we'll have great riders in both classes in Tokyo. There you have it! If you're hiding talent somewhere, it's still not too late. As it stands, below are the top 9 country rankings entering 2019 and the top two female riders in each country. Data from UCI.